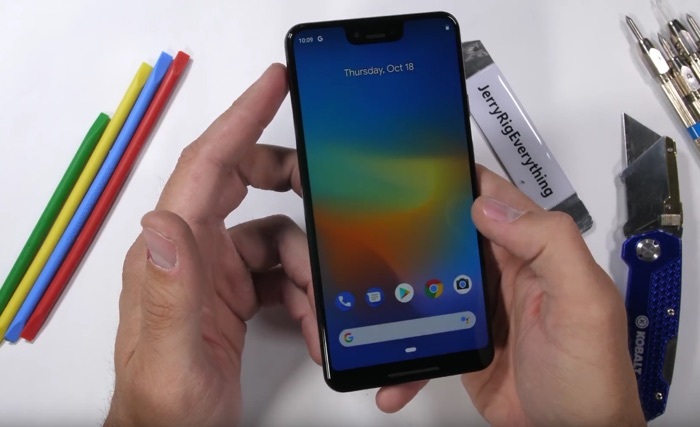 The new Google Pixel 3 XL and Pixel 3 smartphones launched recently, the handset feature a similar design to last years models, inside there is the latest hardware including the Snapdragon 845 processor. Now we have a torture test video from JerryRigEverything, the handset is put through a number of tests that include a scratch test, burn test and of course a bend test. As we can see from the video the handsets display started to scratch at level 6 and 7 which is in line with the rest of the flagships on the market, the display uses Gorilla Glass 5. Unfortunately the back glass which is frosted appears to scratch a lot easier so you may want to use a case with the Pixel 3 handsets. The handset did well in the burn test as there was no lasting damage in the bend test, it also performed well in the bend test with only some minor flex and no damage.